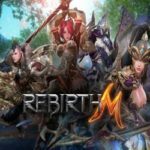 NetEase Games has recently announced that Ride Out Heroes, the company’s newest battle royale title, will launch on mobile platforms and PC in May! 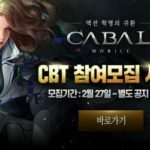 The CBT for the game has finished and any gamer located in Latin America and South East Asia can now pre-register for the game on Google Play. 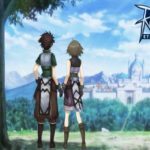 Upon pre-registration, gamers will receive bonus gifts when the game launches. 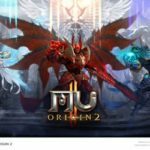 If you are not familiar with the Chinese gaming giant, you must know that NetEase is the developer behind popular titles such as Knives Out, LifeAfter and Onmyoji to name a few. Ride Out Heroes is considered the “first multi-class battle royale” for mobile platforms and promises to deliver a unique 100-player multi-class battle royale gaming experience. When the game launches, players will be able to enjoy 5 heroes, each one of them endowed with unique traits, weapons, and abilities. In their quest, players can combine a maximum of 2 characters. For instance, Hasan, the assassin-meta character who performs quick and devastating attacks, or Robin Hood, the shooting character who attacks from a distance. Ride Out Heroes will also feature a team-based match option. Among the most noticeable features, we can highlight the Random Sanctuary System. The sanctuary will allow players to forge special armours, weapons, potions, or abilities that cannot be obtained by looting. Players should always stay on guard while forging their special items because other parties or players will always be ready to perform a sneak attack! The Mount System will allow you to summon a mount you can use to travel across the map. You may get a dinosaur, a sled dog, or even a bird! As far as reviving is concerned, when a player gets knocked down, he/she will turn into a baby dragon. If the baby dragon manages to survive the next 30 seconds, it returns to the battleground as the character. While playing as a baby dragon, you can hide from your attackers by turning into a tree or a barrel. If Ride Out Heroes sounds like a game you might enjoy, make sure to pre-register here.